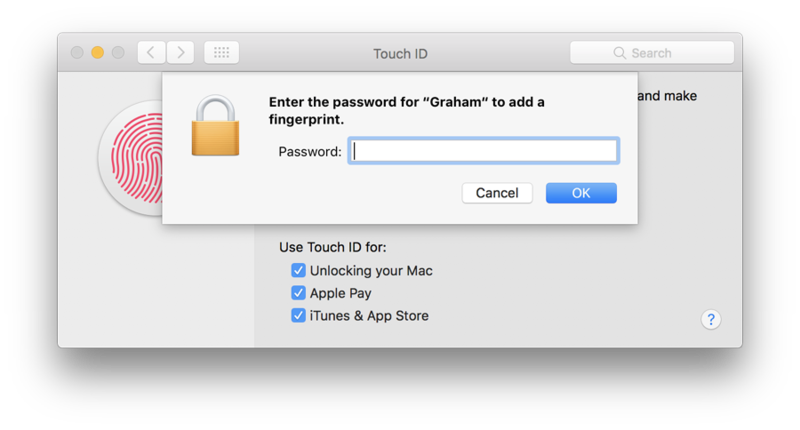 With the arrival of the 2016 MacBook Pro, Apple included the fingerprint technology that had been used with iOS devices to allow the unlocking of an account. Up to five fingerprints may be used, with a maximum of three for any one account. In practice, with the position of the small Touch ID panel and the relative positions of fingers, three is generous. When an account is first created, for example when the Mac is being set up initially, a user is able to set up the identification by pressing on the Touch Bar (far right) and a panel guides the user through the process. Control of options available for fingerprint use and setting up a new Fingerprint ID are shown in the Touch ID panel. To the left of the panel is a large fingerprint icon similar to that used in iOS 10. 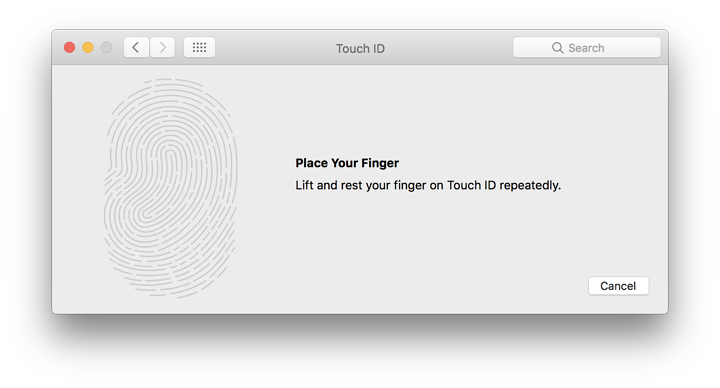 At the top of the main section to the right of this, is an explanation of Touch ID. Below are two circular icons, marked Finger 1 and Add a Fingerprint. When moving the icon over the Finger 1 icon, a cross appears, allowing the fingerprint (and its data) to be removed. The user must enter the account password before this happens. If no Touch ID is set up when an account is first created, the panel will only display the "Add a fingerprint" icon. If a second fingerprint is added, the account password must be added in a panel that appears before the recording process can start. When a second fingerprint is added, the main panel is changed to indicate this. 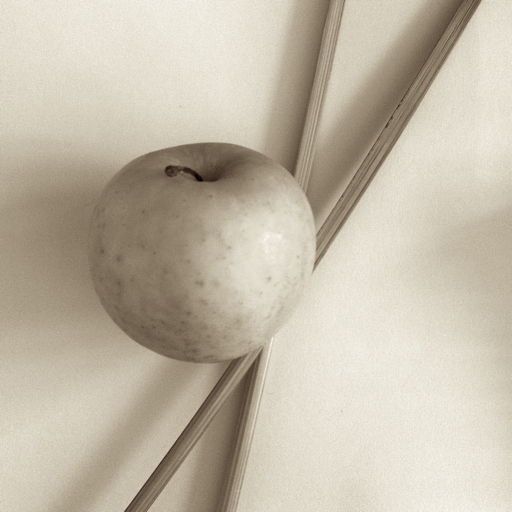 Note that the Apple Pay checkbox is live even in those areas where Apple Pay is not yet available.